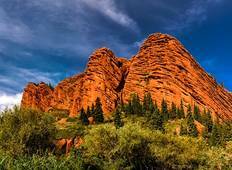 Those seeking an alternative hiking and trekking tour destination will want to consider Kyrgyzstan, a remote and mysterious country of incredible natural beauty, where life is shaped by the vast alpine pastures and the jagged peaks of the Tian Shan Mountains. 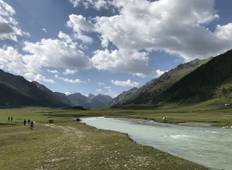 "Joining the trekking tour to Kyrgyzstan with YellowWood Adventures was the best experience..."
"Kyrgyzstan is a fascinating country in a fascinating part of the world. There are..."
Trekking tour "Mountains and Lakes of Tien-Shan"
Trekking Tour "Contrasts of Tian-Shan"